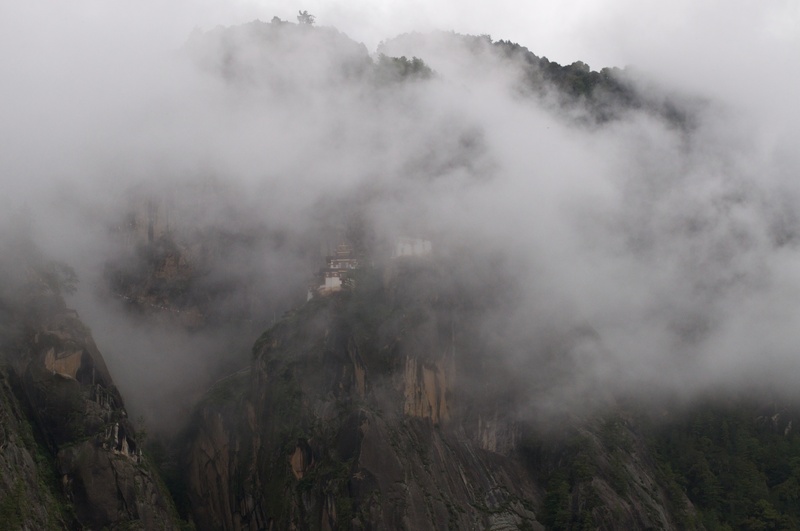 The Tiger’s Nest in the Clouds. The hike to the Tiger’s Nest is a remarkable experience. The trail is steep, muddy, and brutal in places. The steps up to the temple number 700, and the view of the temple itself is among the most spectacular in the world. We started our day early, at 7:00 AM, and headed to the trail by 8:00. We were walking by 9:00 AM and headed UP! 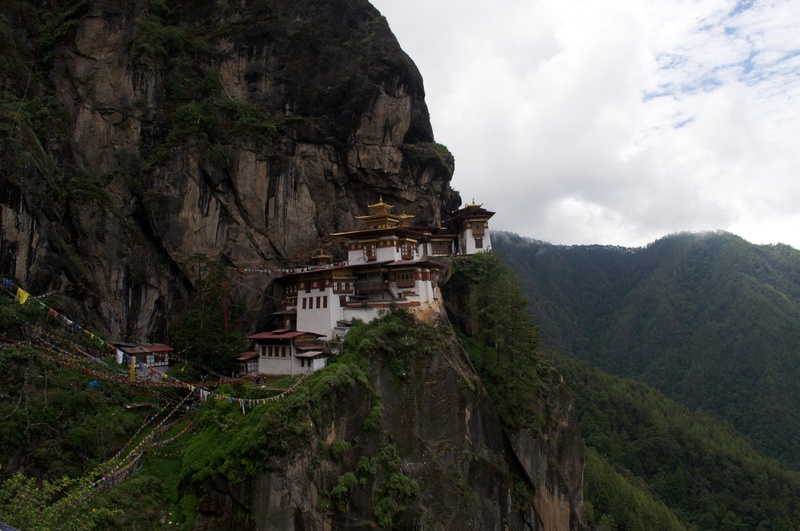 On this day, a Sunday in Bhutan, hundreds of folks traveled to the temple. A large majority of travelers were Indian soldiers training in Bhutan. Others included Japanese, Indian nationals, and a scattering of folks from Europe and North America. 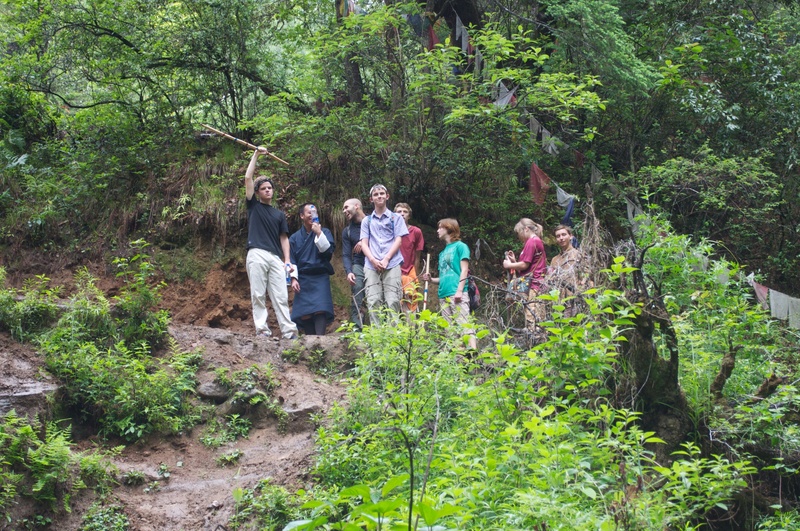 As you can see from the few photos posted here, the trail was challenging for most of us. At the same time, it was enjoyable and a beautiful day, cloudy, humid, and not too hot. The slow internet connections here in Bhutan have limited the number of pictures I can load. Today you will see only two….hopefully I can load a few more in Bangkok this afternoon. Looking forward to seeing additional scenes. Very excited to greet everybody and hear all about it soon!